Keith Davies was a Member of the National Assembly for Wales between May 2011 and April 2016. This was his biography at the time he left. Keith Davies was born in Gwaun-Cae- Gurwen and educated at Ystalyfera Grammar School before studying Mathematics and Physics at Swansea University. His wife works for Tinopolis and their two sons attend Ysgol y Strade. 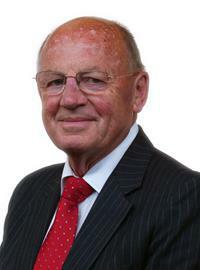 Keith qualified as a teacher and then took up senior positions in schools and colleges before entering local government, first as a schools inspector and eventually as director of education for Mid Glamorgan and Carmarthenshire. During his time as an inspector he represented South Wales and the West of England for the National Association of Inspectors and Educational Advisers. Keith is governor for Ysgol Gymunedol Ffwrnes and Ysgol Gyfun y Strade. He is also a member of the Co-operative Party.